Increasingly, we are seeing the blurring of borders in fiction. At one time, for example, mystery novels always contained certain clearly defined elements. There could be no paranormal explanations. Suspects always had real motives. Murders were not random. Romantic involvements were limited and not detailed. Romance novels also followed tried and true formulas and love conquered all. In 2009, the term “mashup” came into being. Mashup, simply defined, means taking two or more different genres and mixing them up. For instance, Abraham Lincoln: Vampire Slayer and Pride and Prejudice and Zombies, both by Seth Grahame-Smith, are good examples of mashup novels that take either historical figures or classic literature and combine them with horror. This form of hybrid work brings up intriguing questions regarding the future of fiction. Is this form of cross genre a good thing or is it merely pop culture at its worst? Short story writers have been combining genres for many years. Thus, the “speculative” fiction label often combines science fiction, fantasy and horror with mystery, romance, historical and even literary elements. So this is not new. However, reviewers as well as readers are often confused when authors move away from pigeon-holed tried and true formulas for genre novels and experiment. Charlaine Harris, for example, tossed aside the usual rules of mystery writing and simply wrote what she really wanted to create–the secret to her superstar success. She wasn’t afraid to be different in style and subject and actually have fun with her writing. 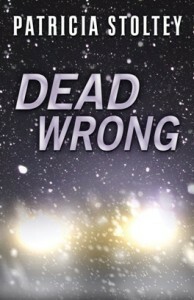 “Old school” mystery reviewers and writers frowned on using paranormal elements. They considered it a kind of cheating. Charlaine didn’t worry about that. The results speak for themselves. 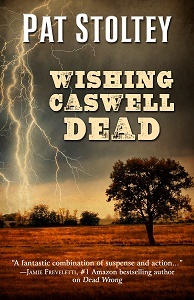 Kim Reynolds, my psychic detective in four mystery novels, tries her best to repress this ability but it keeps showing up and helping her uncover murderers. My mystery series is also strong on romance, another no-no in old school mystery circles. Novel writing is a dynamic, growing literary form. In my YA novel, THE DEVIL AND DANNA WEBSTER, I combined paranormal elements with everyday teen life, mixing reality and fantasy. In my Southern Gothic adult romance, DARK MOON RISING, I combined elements of the paranormal with those of a romantic suspense thriller. In my latest novel, THE KILLING LAND, there are also a number of elements combined: historic Western, romance, and suspense thriller. I believe this makes for a stronger novel. For one thing, there is more in-depth characterization. For another, plot lines are less predictable. In the 18th century, many authors experimented with novel writing, considering it a dynamic form of written expression. The writers weren’t afraid to be original or different. They created unique novels with unforgettable characters such as: CLARISSA, TOM JONES, ROBINSON CRUSOE, GULLIVER, JOSEPH ANDREWS, PAMELA, MOLL FLANDERS and my favorite, TRISTRAM SHANDY. There was diversity in character, style and plot type which inspired subsequent generations who followed. The mashup novel is yet another experiment with the novel form. Will this manifestation last? To my mind, that is not the significant question. Will the novel survive as a literary form? I think the answer is emphatically yes because it is an art form that allows for change and constant evolution as does the short story. Fiction allows us to escape into another dimension that many of us need and want. That aspect is unchanging. Do you take chances as a reader or a writer? Will you read or write books or short stories that do not follow standard genre formula plotting and characterization? Multiple award-winning author, Jacqueline Seewald, has taught creative, expository and technical writing at Rutgers University as well as high school English. She also worked as both an academic librarian and an educational media specialist. 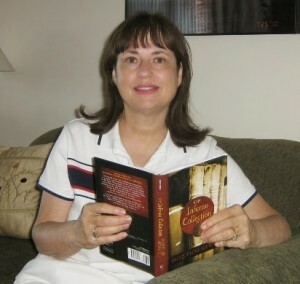 Sixteen of her books of fiction have been published to critical praise including books for adults, teens and children. Her short stories, poems, essays, reviews and articles have appeared in hundreds of diverse publications and numerous anthologies such as: THE WRITER, L.A. TIMES, READER’S DIGEST, PEDESTAL, SHERLOCK HOLMES MYSTERY MAGAZINE, OVER MY DEAD BODY!, GUMSHOE REVIEW, THE MYSTERY MEGAPACK, LIBRARY JOURNAL, THE CHRISTIAN SCIENCE MONITOR and PUBLISHERS WEEKLY. Her writer’s blog can be found at: http://jacquelineseewald.blogspot.com. 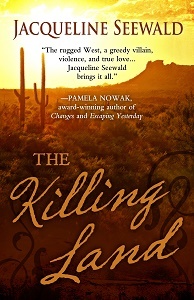 The Killing Land can be purchased from Amazon for Kindle and in hardcover, from Barnes and Noble, and many other booksellers. *The hardcover edition can also be requested at local libraries. Dark Moon Rising is available in all ebook formats as well as print: Amazon, iTunes, Barnes & Noble, All Romance eBooks, and Luminosity Publishing.